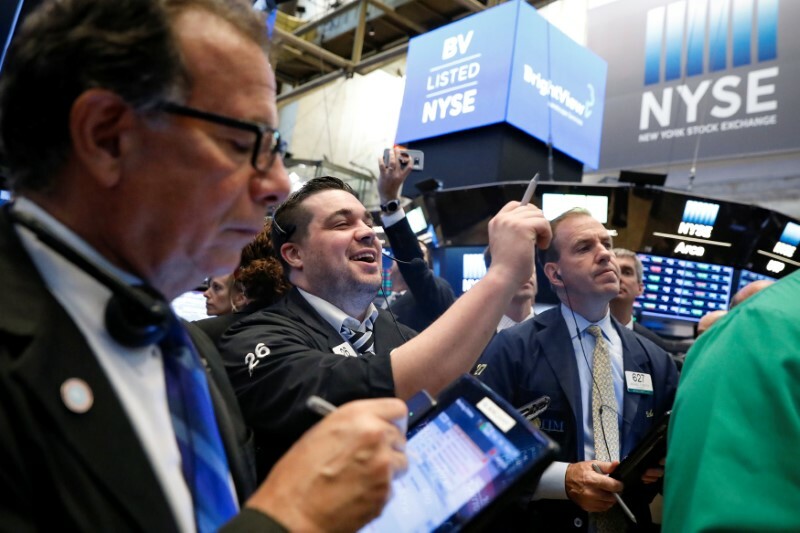 (Reuters) – U.S. stocks jumped on Friday, boosted by a surge in Nike (NYSE:) on its strong earnings report and as banking stocks soared after clearing the Federal Reserve’s stress test. Wells Fargo (NYSE:) led the gains, surging 4.6 percent, while Citigroup (NYSE:) gained 1.3 percent, Bank of America (NYSE:) rose 0.5 percent and JPMorgan (NYSE:) was up 0.5 percent. The gains in Goldman Sachs (NYSE:) and Morgan Stanley (NYSE:) were lower as they cleared the test with conditions. At 9:51 a.m. EDT the was up 215.59 points, or 0.89 percent, at 24,431.64, the was up 17.58 points, or 0.65 percent, at 2,733.89 and the was up 48.01 points, or 0.64 percent, at 7,551.70. Constellation Brands (NYSE:) fell 6.9 percent after the Corona beer maker reported a lower-than-expected quarterly profit and maintained its full-year earnings forecast that missed estimates. The S&P index recorded four new 52-week highs and no new lows, while the Nasdaq recorded 20 new highs and 20 new lows.